K. VijayRaghavan (Born in 1954), has been appointed as Principal Scientific Adviser (PSA) to the Government of India for three years on a contract basis. Mr. Raghavan’s appointment order was issued by the Personnel Department after the Appointments Committee of the Cabinet cleared his name on Monday. Prof VijayRaghavan takes over from nuclear scientist Rajagopala Chidambaram, who has served as PSA (a post created by the AB Vajpayee government in 1999) under three prime ministers since 2001 i.e around 17 years. – Function as the Secretariat to the Scientific Advisory Committee to the Cabinet, with the Principal Scientific Adviser to the Government of India as its Chairman. The office of the PSA is one of the three scientific bodies the government relies on for advice on matters relating to science and which act as the interface between scientific institutions and the government. The other two are Science Advisory Council to the Prime Minister (SAC-PM) and Science Advisory Council to the Cabinet (SAC-C). 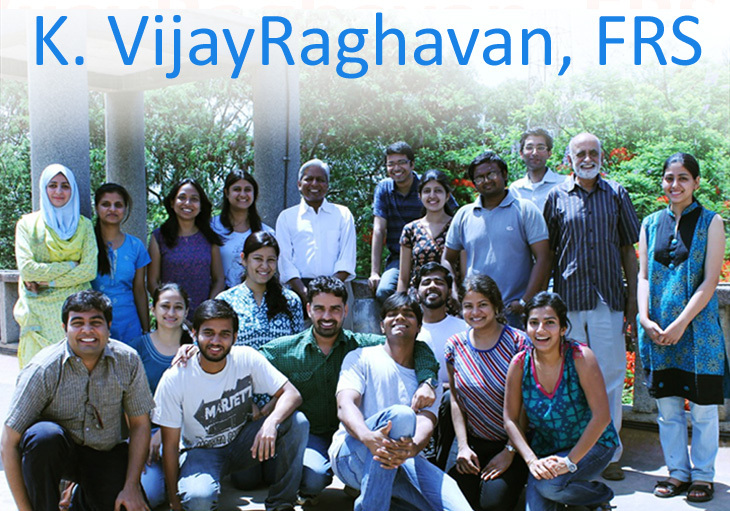 Prof VijayRaghavan is a Padma Shri awardee, recipient of the Infosys Prize, a Fellow of the Royal Society, UK and Foreign Associate of the US National Academy of Sciences. Also, he received the Distinguished Alumnus Award of IIT Kanpur, SS Bhatnagar Award, JC Bose Fellowship, and the Jawaharlal Nehru Lecture Award (2008). He is elected Fellow of the Indian Academy of Sciences, Bangalore, National Academy of Science (India), Allahabad; and Foreign Associate of the European Molecular Biology Organization. Prof Vijay Raghavan did his BTech (Chemical Engineering) and MTech degrees from IIT Kanpur, and PhD (Molecular Biology) from Bombay University while working at the Tata Institute of Fundamental Research (TIFR). Thereafter, he was Research Fellow and Senior Research Fellow at the California Institute of Technology, USA. He has been working as Professor in the area of Developmental Genetics at the National Centre of Biological Sciences (NCBS), TIFR. Prof Vijayraghavan is India’s renowned biologists and was director of Bengaluru-based National Centre for Biological Sciences from 1992 and took over charge as the DBT secretary in January 2013. He retired from the Post of DBT secretary on 6th February 2018. Interestingly, in the last five years, he headed at least four other scientific departments- DST, CSIR, MoES and ICMR- when those bodies were without their regular heads. Prof Vijayraghavan was the main force behind implementaion of Research Fellowship hike policy for research professionals in the country and assisted many global collaborations on science platform. Note: More information will be available in article which will be publishing in April 2018 issue of Biotech Express Magazine. Please keep in touch or subscribe for auto delivery from here.